What are the benefits of being a member? First of all, it’s a lot of fun! Club members take rides within Bowdoinham and beyond - sometimes it’s a weenie roast and fire by the Bay, other times its a ride several towns over to a restaurant and back. We do an annual trip to a great Northern destination, and explore trails as a group. 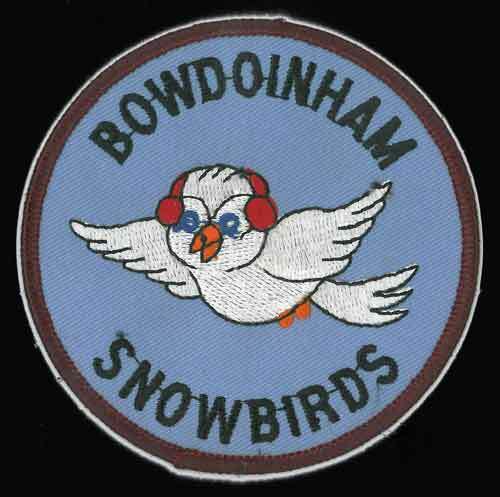 Club members are what make up the Bowdoinham Snowbirds. Everything we do is voluntary, and each member’s contributions are greatly appreciated. Member dues help us keep up with the many costs of maintaining the trails throughout the snowmobile season. Trail crews clear and trim brush, fallen tree, sign and groom trails - and while some may consider that work, others consider it free exercise in the great outdoors, and take joy in the reward of seeing all the smiles on the faces of those who ride. 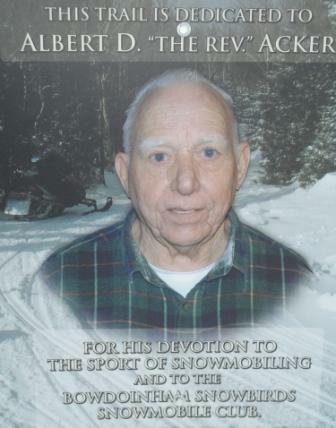 When you join, you also become a member of the Maine Snowmobile Association (MSA), receive The Maine Snowmobiler newpaper each month from September thru May, and also receive a $2,500 accidental death and dismemberment insurance policy. Consider joining the club today! Family memberships are $25/year, and business memberships are $43/year. If you already belong to another MSA club and wish to join ours as well, membership dues are only $10/year. Contact Us, and we will send you a membership application. Or click application below to download and mail to become a member!